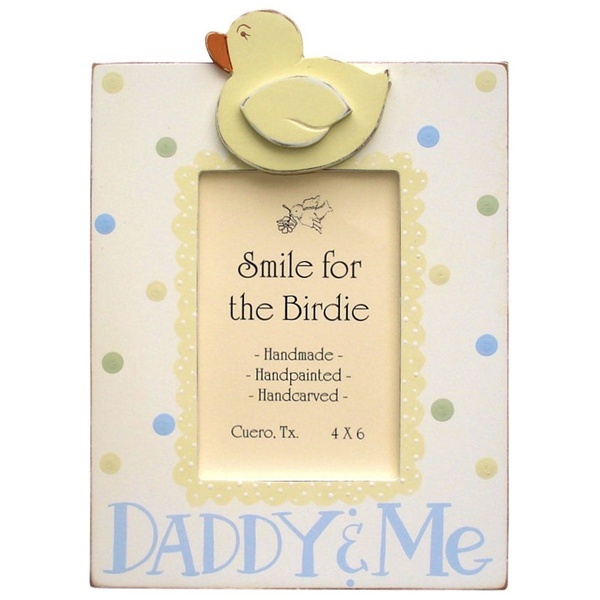 The Smile for the Birdie Daddy & Me Wooden Photo Frame is the perfect place to display the first photo of daddy and his new baby.This large wooden photo frame holds a 4x6 photo. The Smile for the Birdie Grandkids Picture Frame measures 10" x 10" and holds a 4"x6" photo. 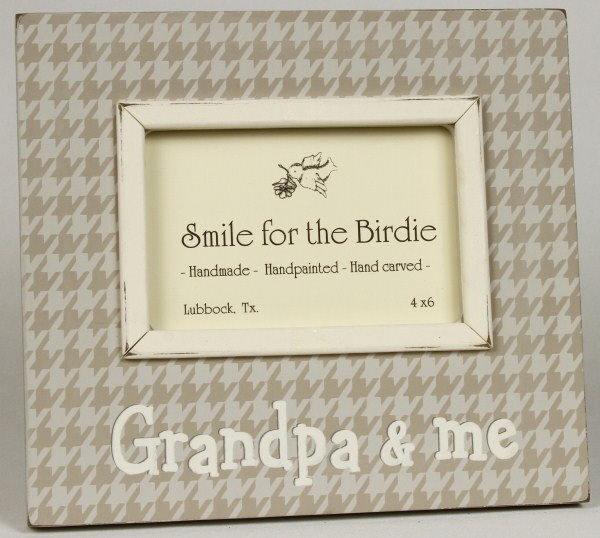 The Smile for the Birdie Grandpa & Me Frame holds a 4x6 photo and is hand crafted and hand carved! 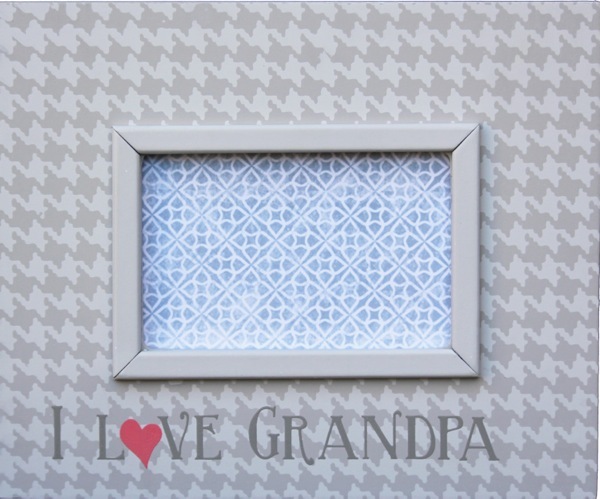 The Smile for the Birdie Grandpa & Me Wooden Picture Frame is the perfect place to display the first photo of grandpa holding his new baby - or any of your favorite photos of grandpa and baby. This large wooden photo frame holds a 4x6 photo. 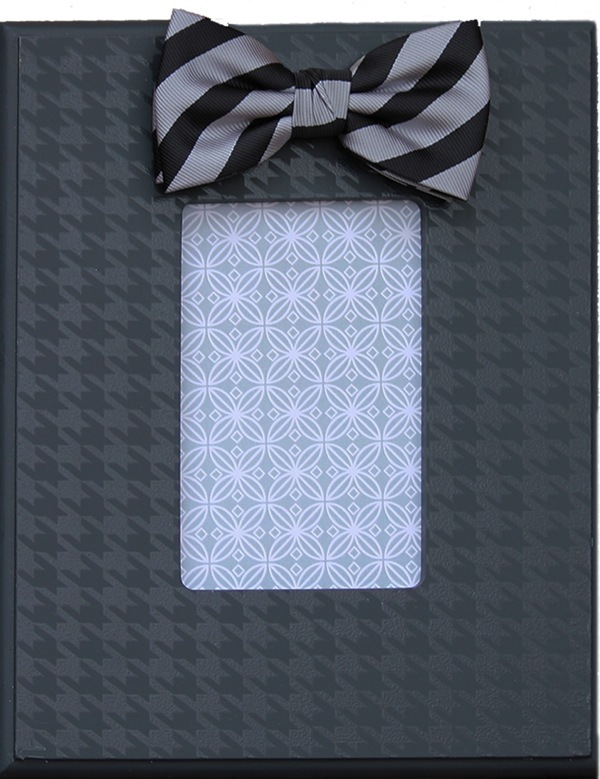 The outside dimensions of the Smile for the Birdie Houndstooth Black Photo Frame are 9"x11" and it holds a 4"x6" photo. 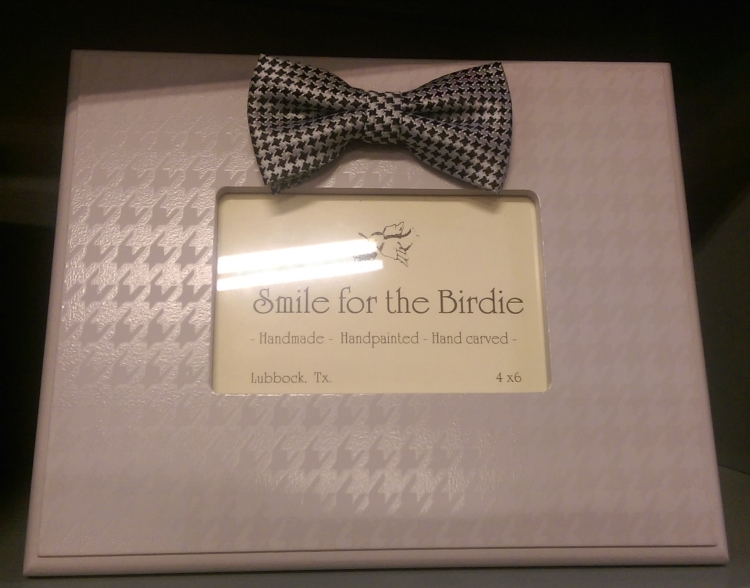 The outside dimensions of the Smile for the Birdie Houndstooth Grey Photo Frame are 9"x11" and it holds a 4"x6" photo. 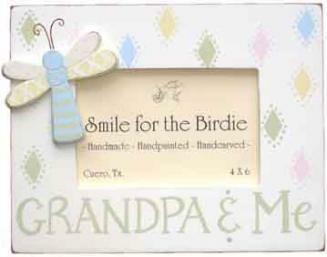 The Smile for the Birdie I Love Grandpa Picture Frame measures 9"x11" and holds a 4"x6" photo. 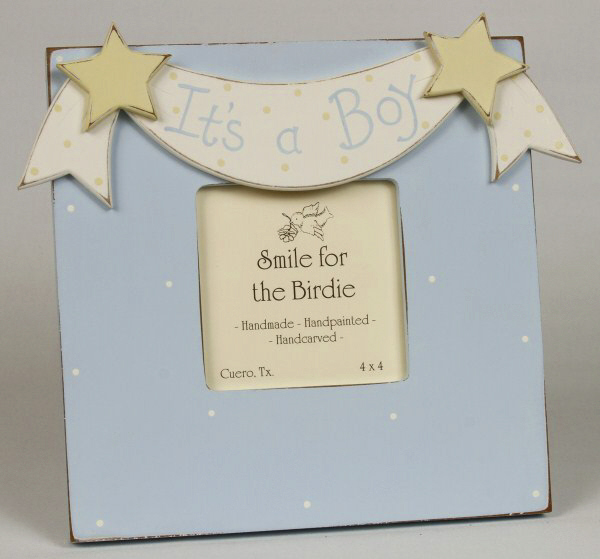 The Smile for the Birdie It's A Boy Picture Frame measures 8.5" x 8.5" and holds a 4"x4" photo. The delightfully fresh Smile for the Birdie Pink Stripes Picture Frame is hand-painted and hand-carved in the USA. It’s the perfect accent piece to display a treasured picture of your child, and can be used as a tabletop display or mounted on a wall. Opening fits a 5”x7” picture. The Smile for the Birdie Princess 4x6 Picture Frame measures 8.5" x 8.5" and holds a 4"x4" photo.